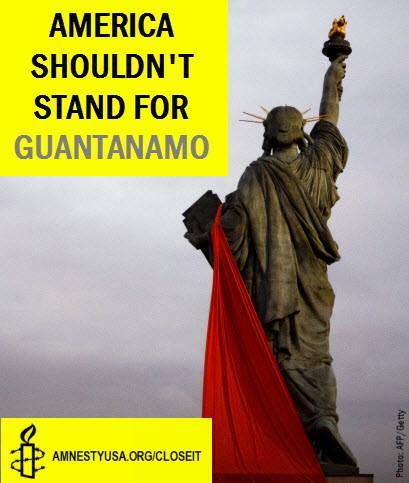 Yusef Abbas, Hajiakbar Abdulghupur, and Saidullah Khalik – Detained in Guantanamo for 10 years and 11 months. The three men are ethnic Uyghurs from China. They were arrested in Pakistan in late 2001. After they were given over to U.S. forces, they were transferred to Guantanamo in 2002. In 2008, they, along with 14 other Uyghurs, successfully filed writs of Habeas Corpus. While all the other Uyghur held at Guantanamo have been transferred, these three remain detained. Shaker Aamer – Detained for 11 years and 4 months. Originally from Saudi Arabia, he was arrested in Afghanistan, where he was living with his family, in 2001. He was transferred to Guantanamo in February, 2002. Under President Bush he was cleared for transfer. Despite the U.K. government’s requests he be transferred to the U.K., Shaker Aamer remains in Guantanamo. 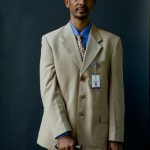 Said Muhammad Salih Hatim – Detained for 10 years and 11 months. A citizen of Yemen, he was turned over to Pakistani forces by an Afghani man in December 2001. He was sent to Guantanamo in 2002. In 2007 and 2008, he was recommended for transfer out of DOJ custody. In 2009, he won a petition of Habeas Corpus but it was vacated upon appeal in 2011. Mohammed Abdul Rahman (Lotfi Bin Ali) – Detained for 10 years and 3 months. He was born in Tunisia and has citizenship in Italy. In 2004, he was recommended by the JTF-GTMO for release or transfer due to his health problems that include: chronic heart problems; kidney stones; and tuberculosis. Hussain Almerfedi – Detained for 10 years. A citizen of Yemen, he was arrested in Iran in 2001 and allegedly tortured. After a “prisoner exchange,” he was given to the U.S. and transferred to Guantanamo in 2003. In 2010, he won a writ of Habeas Corpus, which was later vacated. Khalid Abd Jal Jabbar Muhammad Juthman al Qadasi – Detained for 11 years and 4 months. A citizen of Yemen, he was recommended for transfer in 2007 and 2008 by JTF-GTMO but has not been transferred. Djamel Ameziane – Detained for 11 years and 4 months. A citizen of Algeria, he was living in Afghanistan to escape persecution in his homeland. He fled Afghanistan for Pakistan soon after fighting broke out where he was captured and turned over to the United States. He was transferred to Guantanamo in 2002. He was cleared for transfer in 2008 and again in 2009. An ethnic Berber, he fears forcible return to Algeria due to persecution of the minority group there. Again Amnesty International calls on the President to immediately undertake lawful and safe detainee transfers as a matter of priority. The USA should not place any conditions on transfers of detainees that would, if imposed by the receiving government, violate international human rights law and standards. This entry was posted in Americas, International Justice, Military, Police and Arms, Prisoners and People at Risk, Security and Human Rights, Torture, USA and tagged Americas, Demand Accountability for Torture, detention and imprisonment, end unlawful detention, fair trials, guantanamo, illegal and indefinite detention, legislative and policy reform, prisoners and people at risk, rights for victims of armed groups, security with human rights, torture, USA by Justin Mazzola. Bookmark the permalink. Justin Mazzola is an attorney and Researcher with Amnesty International USA. I will support any cause out there to help close Guantanamo! It's home to so many horrible and unjust things, it's like something from a horror novel. And the list goes on and on….We should all come together in the effort to close down this horrific place! Is the U.S. above international law?! How is this possible? Now it can be fetched form here itself. Visit the website to be the best in bingo bash game. IF you are looking for learn about windows 10 . follow this mind blowing window learning website and learn in easy way.